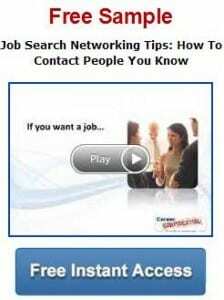 Job Search Video Coaching Now Available! I have put together dozens of pieces of my best coaching advice and insights into 8-12-minute videos, all on a convenient, one-stop page for you! If you're in a job search, you've got to see these. This is the advice that's giving hundreds of job seekers more confidence, better skills, and the best offers of their careers.